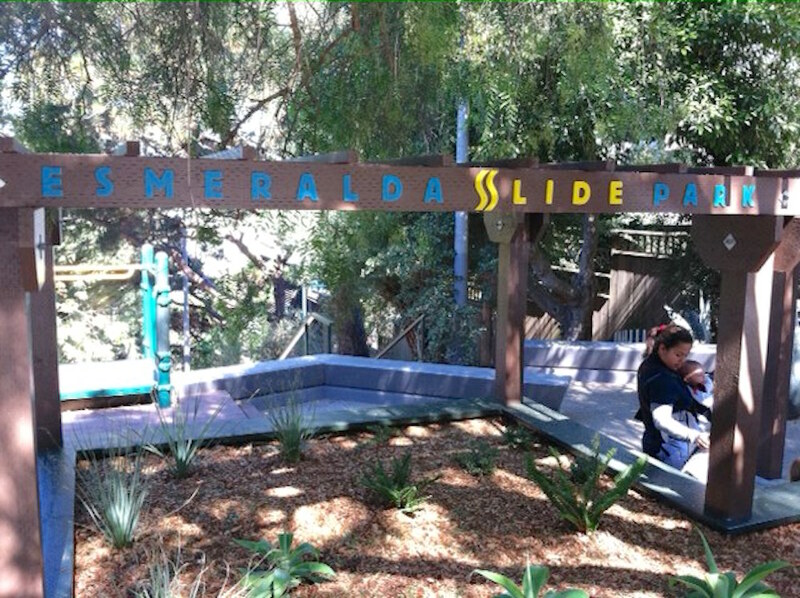 There’s a new sign over the Esmeralda Slide Park, designed by Nancy Windesheim and constructed by me. The sign is prominently displayed on the trellis above our planter box, with the new plantings installed by volunteers on August 15, the second workday we had. Most of all, we want to tell everyone who reads Bernalwood that we are one of the many esteemed nominees for a 2015 SFBeautification award. San Francisco Beautiful is a nonprofit dedicated to enhancing the livability and beautification of San Francisco. For 44 years, they have been recognizing people and places who contribute to the City’s livability and beautification. The nominees are showcased on the SF Beautiful’s Facebook page. We’re there, and if you’re excited like we are, please “like” us. Everyone who dedicated themselves to making this rebuild happen should feel very proud. There are a number of projects that happened this year in the City that are really special, and we can find ourselves amongst them. Whether we win an award on Sept. 17 or not, the recognition of being a nominee in the company of all the other special projects nominated, puts us in the best of company! Citizens of Bernalwood, you know what to do: Please help stuff the ballot box by adding your Likes and gushy comments right here.